Shola is a little dog with attitude. She has appeared in four books in Basque, which have been translated into English in one volume. 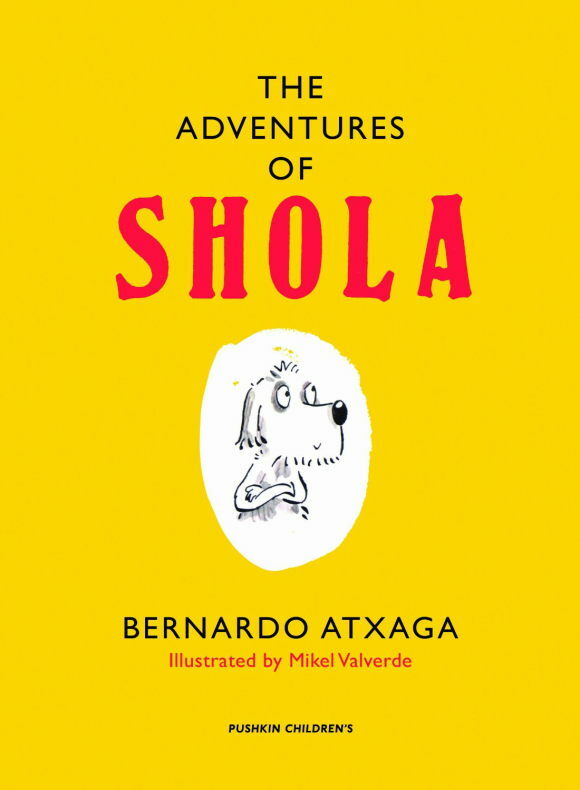 The Adventures of Shola might be a book for children, but adults may enjoy it as well. From her rustic, mouse-mad cousin Angeliño to Señor Grogó's rodeo-chasing, wild Aunt Clementine from Wyoming, nobody in these four surprising stories can help agreeing with Shola in the end: leads are for losers and it's far better to be free. Shola is a dog who knows what's what and how best to say it, and she'll even say it live on tv. As long as nobody gets too discombobulated about it.Shola may look like an ordinary white pet dog but, as her long-suffering owner Señor Grogó knows only too well, she is in fact a highly cultivated creature and the world is her playground - or rather, her jungle. For little Shola is ever ready to discover her inner lioness or to lead the pack on a wild-boar hunt. If only home-made cheese and finely cooked, delicious, marvellous, near-miraculous chips were not quite so tempting, the world would recognise her for the heroic dog she truly is.Luckily Shola finds soul-mates in unexpected quarters. Lovingly and revealingly illustrated by Mikel Valverde, these four stories in one volume are a treasure-trove of amusement which cannot fail to cheer the reader.